At the epicenter of culture, shopping, entertainment, and dining, you can now experience unforgettable in the heart of the Las Vegas Strip at Waldorf Astoria Las Vegas. Enjoy sweeping views, finely appointed guest rooms and suites, inspired dining, relaxing pool terrace, dual level spa, and your every whim delivered in the luxury and style. Connect with our Virtuoso travel advisors for best available rates. Waldorf Astoria Spa offers two floors of customized wellness offerings. 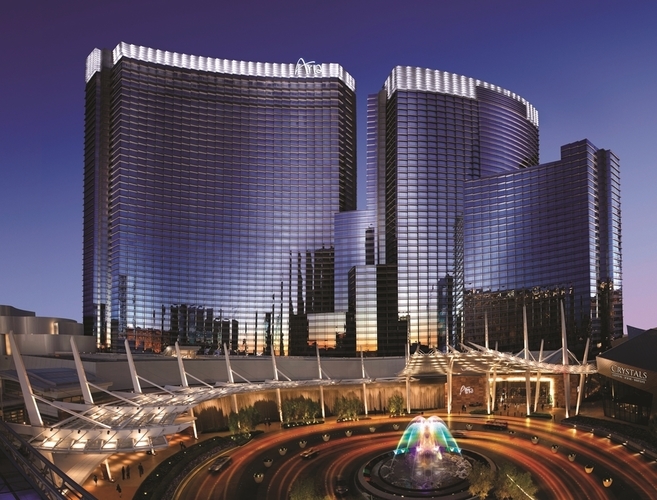 ARIA Resort & Casino is the smartest hotel on The Strip — offering seamless, mobile check-in, best-in-class Wi-Fi and the new in-room tablet with features such as customizable room controls and room-service ordering. Not to mention the 16 world-class restaurants by acclaimed chefs and the elevated experiences in the Tower and Sky Suites. At ARIA, this is how we vegas™. ARIA SKY SUITES - Guests are extended complimentary round trip airport limousine transfers in a fuel alternative limousine, Pre-Arrival Concierge contact, light refreshments in Sky Suites Lounge throughout the day and $5.00 daily WiFi credit applied to Daily Resort Fee, subject to applicable tax.